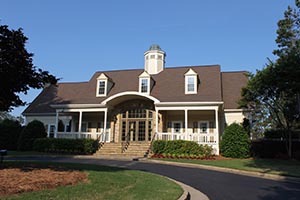 Nesbit Lakes is a prestigious swim, tennis and outdoor friendly community located just north of Atlanta in Fulton County. Located in the award winning Centennial High school district, Nesbit Lakes is minutes from the interstate and just moments from shopping, restaurants, area parks, and entertainment. There are 278 homes and 13 cul-de-sacs within the Nesbit Lakes community. Our natural setting with sidewalks and well stocked lake for fishing, mature trees, and impeccably maintained amenities will make you feel at home. With 6 tennis courts and tennis pros on staff, stop by and sign up for lessons or join one of our many teams. Cool off with a swim at the pool. Walk the neighborhood on our beautiful tree-lined streets, ride your bike, or take the kids to the field and playground for a pick-up game. Nesbit Lakes residents pride themselves on having one of the most welcoming and family friendly communities within North Fulton County.